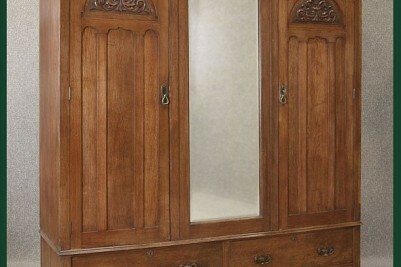 A superb quality, solid Oak, circa 1900 Arts & Crafts wardrobe. 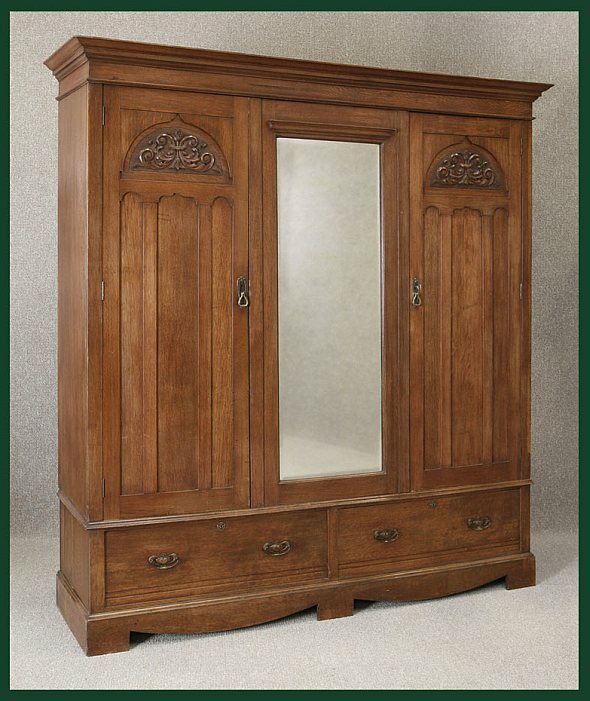 Featuring an out swept cornice, and large centre cheval mirror. 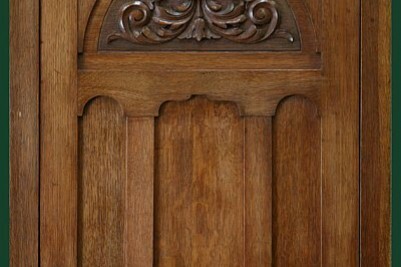 This is flanked by two panelled doors, with carved sections to top which open up to reveal a considerable amount of hanging space. 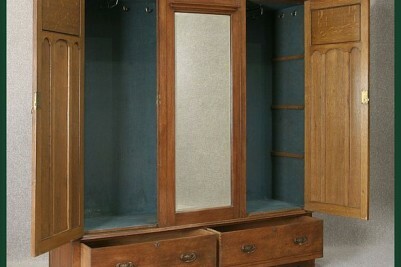 With its original blue material lining, this wardrobe sits upon a pair of large drawers; all fitted with their original handles. 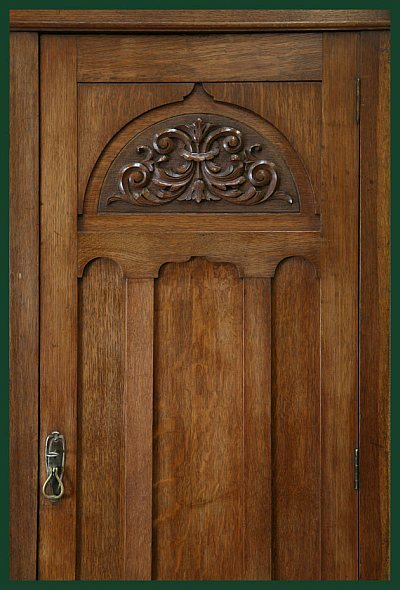 You may notice that the right hand wardrobe door internally originally would have held shelves, but these have been removed at some point in its lifetime to create more hanging space. However, these can easily be replaced if necessary. 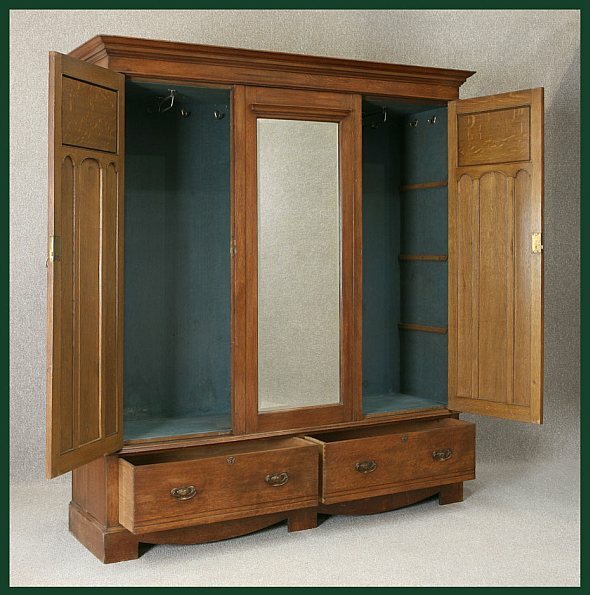 The item is in lovely condition for its age, and still retains its key for the wardrobe doors. 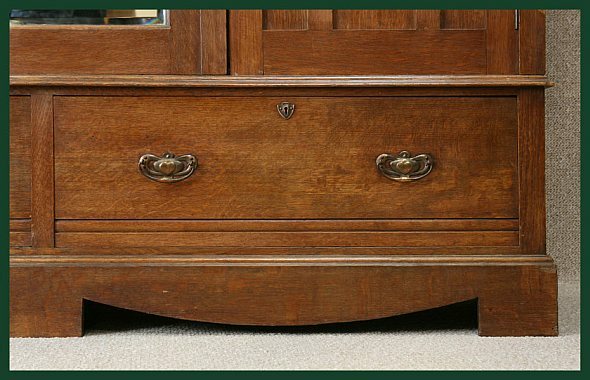 This piece conveniently breaks down into four individual sections for ease of transportation and reassembly. 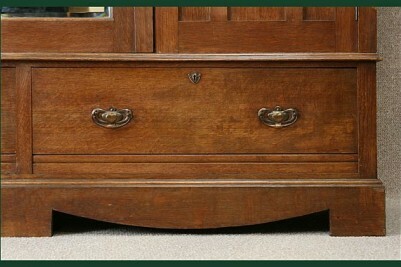 A lovely addition to any Arts & Crafts or Oak bedroom interior. DELIVERY - £75.00 to England and Wales. For deliveries outside of this area, please contact us for a quote.